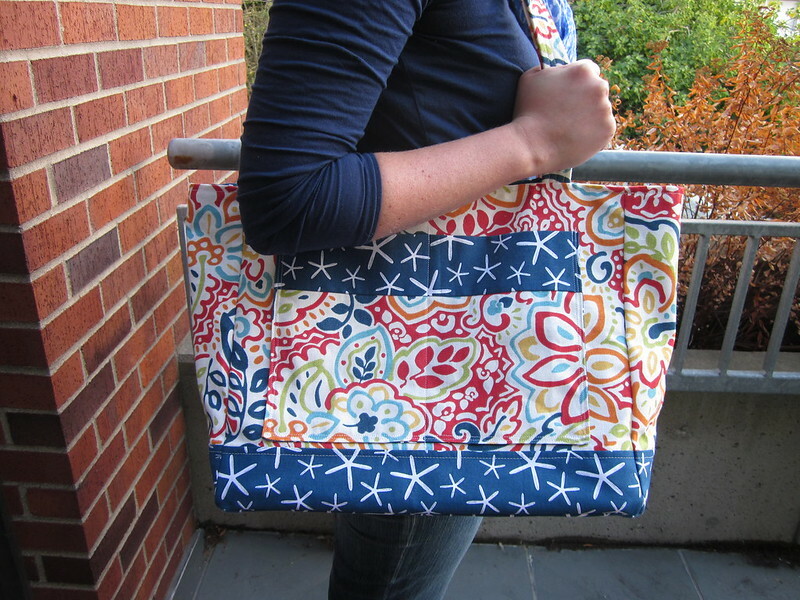 More totes, and another pattern GIVEAWAY! 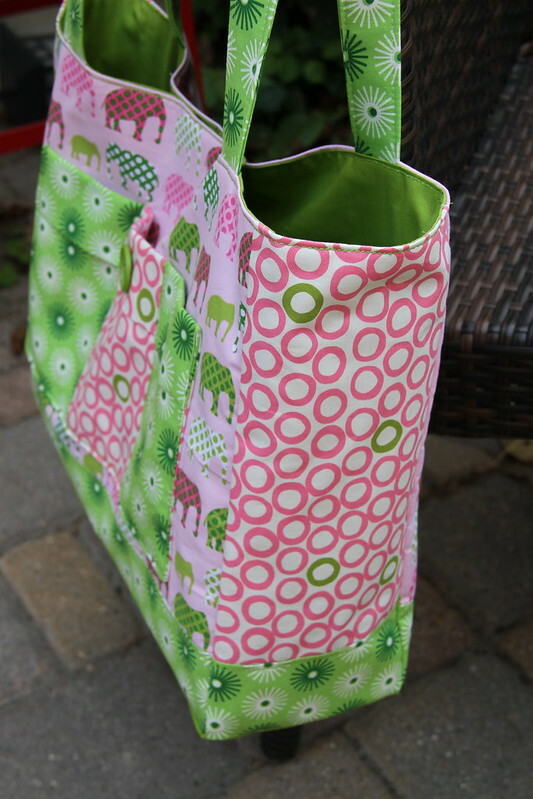 I have two more totes to share with you, both sewn up by my awesome pattern-testing friends! The first tote was made by Meaghan, who I met through blogging and got to hang out with IRL last year when we lived in Seattle! I think this picture is a good representation as to the size of the tote. It is a great large size without looking huge. 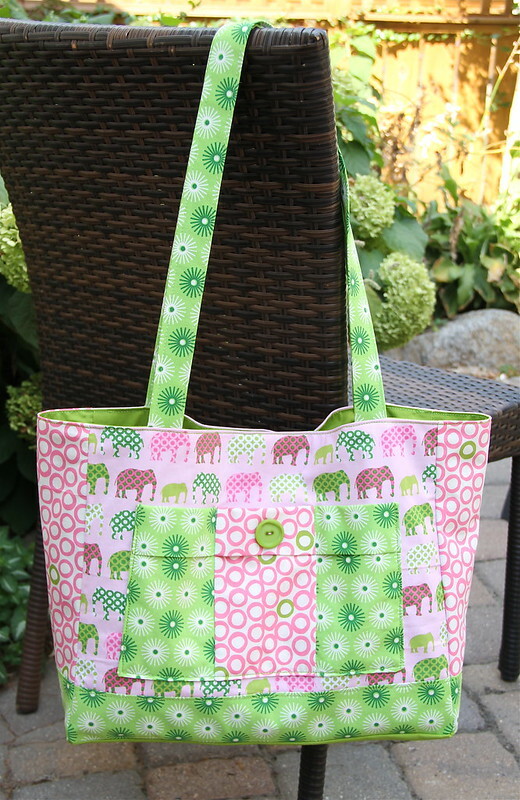 Michelle used a really cute elephant print for her tote exterior. She also chose to fold down the front pocket (which she pieced! how fun!) so that a bit more of the elephant print would show. I love that she added a button where she folded down the pocket! I hadn't thought to use a coordinating print on the sides of the bag, but I really like this look. Michelle showed me three design possibilities that I hadn't even thought of! 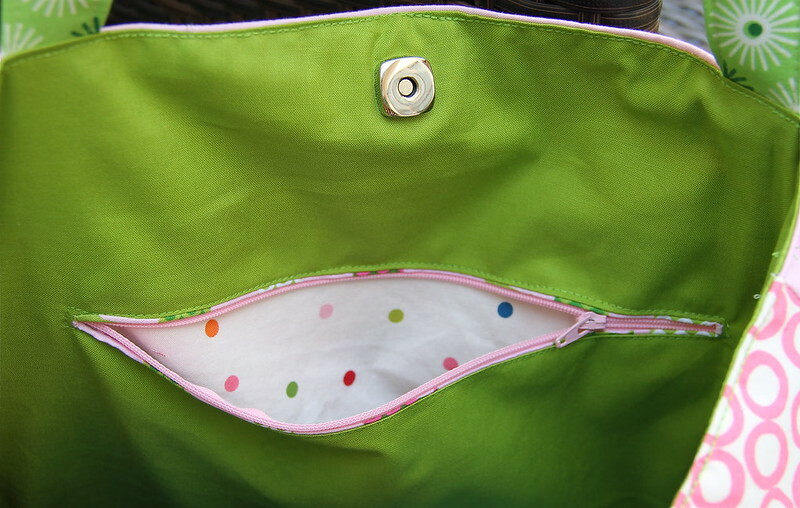 I also wanted to show off Michelle's interior zip pocket. This was the first time she had done this technique, and it looks great! She also chose to use a traditional magnetic snap for her closure. In the pattern I include detailed instructions for adding a sew-in magnet and some basic instructions for a traditional magnet or velcro. 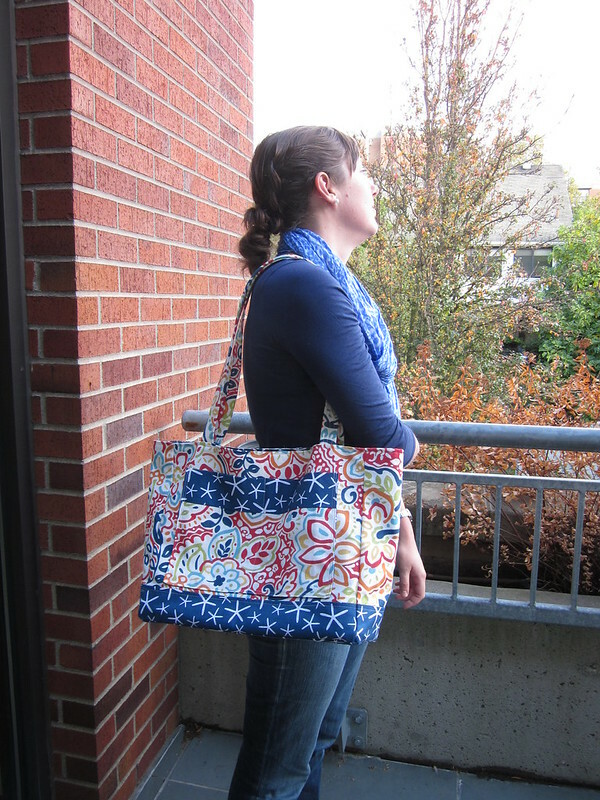 Now hop on over to Michelle's blog where she's giving away a PDF copy of the Market Tote Pattern!